Neal Lewis, of the Sustainability Institute at Molloy College Addresses The “Why Offfshore Wind” discussion at the Offshore Wind For New York Conference, November 13, 2013. While I was making video clips of key notable and quotable speakers from the conference, a few different reports came in on Offshore Wind For New York 2013. 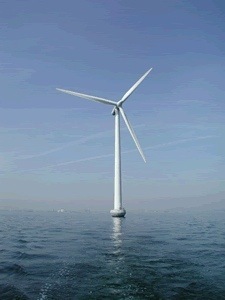 Highlights from the 3rd Annual Offshore Wind Conference By Annie McClelland At Citizens Campaign for the Environment. By all means, please pass along any others you find! We hear from Catherine Bowes, National Wildlife Federation; Adrienne Esposito, Citizens Campaign for the Environment; Doug Sims, Natural Resources Defense Council; Gordian Raacke, Renewable Energy Long Island; Lisa Dix, Sierra Club. As mentioned in the video, sign the Sierra Club Petition to Gov. Cuomo to expand wind energy here. In this 3rd report from the Offshore Wind for New York 2013 Conference, the focus is on the aspects of the utility, the huge power and influence the utility can wield to either get it done or not, and the LIPA (soon to be PSEG Long Island) Request for Proposals (RFP) for offshore wind. We hear from Neal Lewis, LIPA Trustee / Sustainable Institute at Molloy College Director; Gordian Raacke, Renewable Energy Long Island; Doug Sims, Natural Resources Defense Council; Adrienne Esposito, Citizens Campaign for the Environment; Jackson Morris, Pace University Energy and Climate Center, and David Daly, incoming President of PSEG Long Island. Really looking forward to attending and I urge any and all of you interested, to sign up and attend. Harnessing New York wind resources offers an opportunity to move toward energy independence while reducing air pollution and the greenhouse gas emissions that contribute to climate change. Wind energy is a clean, emission-free, locally generated source of energy. Citizens Campaign for the Environment (CCE), Sierra Club, Renewable Energy Long Island (RELI), the National Resources Defense Council (NRDC), and the National Wildlife Federation (NWF) are pleased to announce the 3rd annual offshore wind conference, Offshore Wind Power for New York: Reaching America’s Next Clean Energy Frontier. This important conversation will focus on how New York is supporting offshore wind development, the environmental and economic benefits to New York from investing in offshore wind, the critical next steps required to move offshore wind power forward in New York, and the advocacy efforts underway to finally make it a reality. I will definitely see you there! If you’re attending please drop me a line on the All Our Energy “Contact Us” page here. Let’s meet! Come to The Long Island Clean Energy Forum: Navigating NY’s Energy Crossroads. Tuesday December 4th 7:00 to 9:00 PM. This is what Long Island’s energy future should look like. So, what’s everybody doing next Tuesday, December 4, 2012 at 7PM? Our friends at Renewable Energy Long Island woke us up to this upcoming event. come ready to learn your role in the push for clean energy. You know, we here at All Our Energy are all about public awareness, involvement, and organization, so bring a friend and if you see me, say Hi. Feel free to invite others you know with the “share” buttons below!! !